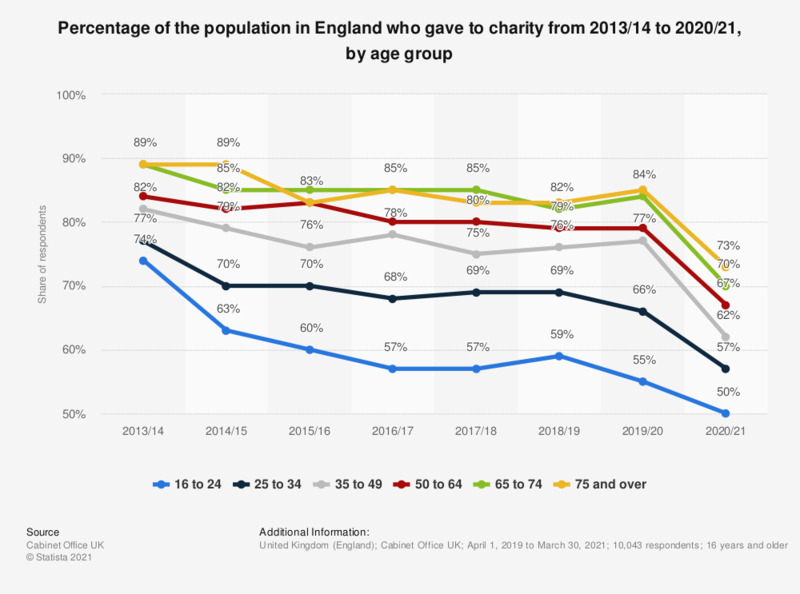 This statistic shows the share of the population who said they gave to charity in the last four weeks in 2017/18, by age group. Proportionally, those aged 65 to 74 gave most to charity. At 57 percent, 16 to 24 year olds had the smallest proportion of charitable givers.